Kia Motors America has announced the new special version 2010 Kia Ignition Soul. Exclusive to the Ignition Soul is a unique ignition orange exterior color, striking black 18-inch alloy wheels with machined accents, an athletic-looking body kit and rear spoiler found standard on sport trims, an alloy fuel door for an even more contemporary appearance and a bold off-set black racing stripe to complete the overall appearance. 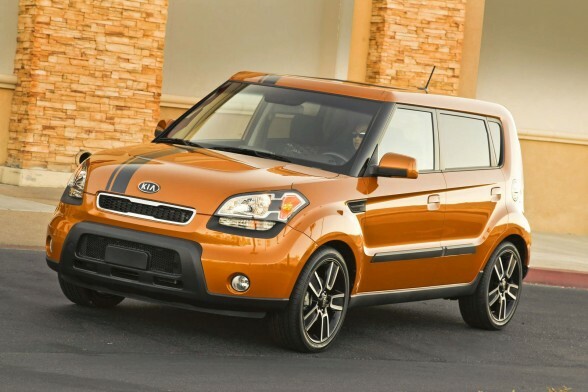 The 2010 Kia Soul Ignition Special Edition is based on the Soul+ model and is fully loaded with the Audio Upgrade Package, an iPod connection cable for full functionality via the radio head unit and steering wheel controls, carpeted floor mats, moon roof, fender vents with side marker repeaters and fog lights. Building from the Soul+ model, Ignition Soul also offers standard keyless remote entry, privacy glass on the rear and rear side windows, body-color door handles and dual body-color power side mirrors. Soul+ offers additional standard features including cruise control with steering wheel-mounted controls, Bluetooth hands-free connectivity, dual 12-volt power outlets and tweeter speakers, as well as a covered upper storage bin, dual visor vanity mirrors with covers and dual map lights. Black cloth seats are adorned with Soul logo inserts, further personalizing the cabin. The special edition Ignition Soul starts at $17,500 with a five-speed manual transmission.